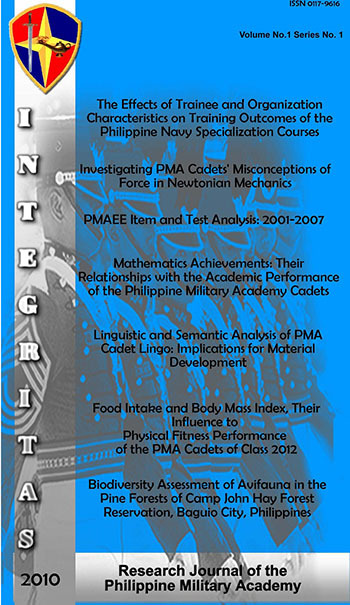 INTEGRITAS is the official research journal of the Philippine Military Academy. This journal serves as a vehicle for the publication of researches, scholarly, essays, book reviews, and noteworthy speeches made by the officers and instructors of PMA. Integritas aims to stimulate and enhance research capabilities most especially in the field of the military sciences.